Copies of the Rużar Briffa CD-Rom can be obtained from the University library. The University has launched a CD-Rom featuring a digitised version of Rużar Briffa's poetic writings, consisting of over 240 of the poet's original inspirations and subsequent refinements, jotted down on whatever paper he had at hand. 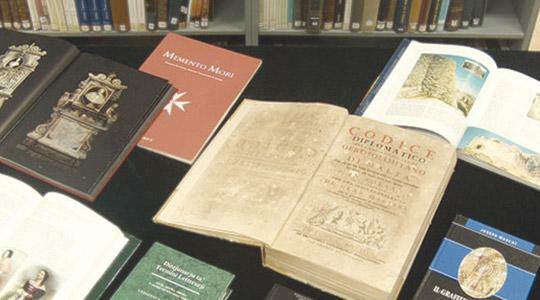 The University library carried out the digitisation of the holographs with the financial support by the Maltese National Commission for Unesco. The project will contribute to the preservation of the priceless originals, and facilitate a wider diffusion of this collection. The original manuscripts of most of his verse compositions were generously donated to the University library in May 1998 by the poet's wife Louisette Briffa. The Rużar Briffa poetry collection now forms part of the library's legacy collections. Dr Briffa (1906-1963) is a well-known figure in Maltese literature, best remembered for his beautiful romantic poetry, and for his co-founding of the Għaqda tal-Malti (Università).